This 1000 sq.ft. 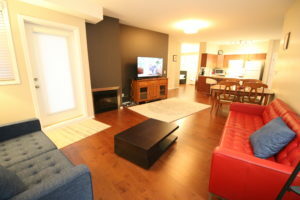 2nd floor, 2 Bedroom 2 Full Bathrooms suite has a great view of the court yard and pool. This unit is decorated, furnished and accessorized to the highest standards and features basic cable service and high speed internet (Wi-Fi) throughout. The Master bedroom has a pillow top Queen bed for ultimate comfort, a large 5 piece Ensuite bath and a 32” LCD TV. The second bedroom features two twin** beds (T2K) with 32” LCD TV. 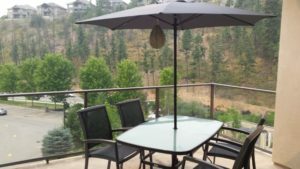 Close to Golf Course, Afternoon sun on the deck, easy access to pool deck.